During the Freedom celebrations on June 4, 2014, the Polish President Bronislaw Komorowski announced that Poland will increase its spending on defence from the current (guaranteed by law) 1.95 percent of GDP to 2 percent of GDP. Additional funds are to be used entirely for the purchase of modern equipment and technology in the context of the modernization of the Polish Armed Forces and the strengthening of the defence infrastructure, in particular, in the eastern part of the country. This decision, if implemented, will result in Poland joining the small group of NATO countries that fulfil the recommendations of the North Atlantic Treaty regarding the relevant expenditure on defence. Defence spending within NATO has been falling for many years. In the past five years, NATO countries have lowered average spending by 13 percent, caused by, among other factors, the effects of the economic crisis. In contrast, Poland has continued to increase in real terms its defence expenditure, thanks to the statutory rule that guarantees the yearly transfer of 1.95 percent of GDP for this purpose. In addition, the disparity between the defence budgets of the United States and European countries has been widening. While the U.S. allocated 3.8 percent GDP in 2013, in Europe there are countries that spent less than 1 percent GDP on defence. This has had a direct impact not only on the security of the member states, but also on the military abilities of the Alliance. Unfortunately, there is little evidence that this trend will be reversed in the coming years. What’s more, the biggest European NATO members such as Germany, the United Kingdom, France and Italy are instead planning further reductions in subsequent years. Table 1 Level of NATO defence spending as a percentage of GDP in 2013 and prospects. in subsequent years.Great Britain2.4Planned cuts: by 2015 by about 5 percent. The Ministry of Defence does not rule out that the UK will fall below the level of 2.0 percent GDP in the future.Turkey2.3Steady economic growth, possibly increasing the defence budget in the coming years.Greece2.3Despite the huge budget cuts in recent years, the level of the budget of the Ministry of Defence was kept. Possible cuts in the future.Estonia2.02014: maintaining the level of 2.0 percent.France1.92014: 1.5 percent GDP, plans for further reductions in the future, even to the level of 1.3 or 1.2 percent GDP.Croatia1.5According to the plan 2006-2015, Croatia was to achieve the level of 2.0 percent in 2011, however, the financial crisis thwarted these plans. In 2013, the country’s economy shrank by 1 percent.Norway1.4No plans to raise spending.Denmark1.4According to the financial plan for the years 2012-2017, the defence budget is to be reduced by about 10 percent by 2017.The Netherlands1.4Planned cuts: in 2017 the defence budget is expected to be 1.15 percent GDP.Albania1.4No plans to raise spending.Romania1.362014: increase to 1.56; goal of 2 percent in 2017.Bulgaria1.32014: President urged to increase the budget. NATO Report from 2014 calls for raising the budget at least to the level of 1.5 in the near future.Germany1.252014: planned cuts in 2014-2015 to 1.2 percent GDP.Italy1,2Possible further cuts in defence spending due to the difficult situation of public finances.Slovenia1.162014: cuts to the level of 1.11 percent GDP.Canada1.1In the years 2014-2015 cuts are planned to 1.08 percent GDPPortugal1.1The downward trend is expected: the cuts in public expenditure are necessary (public debt exceeds 130% of GDP).Czech Republic1.082014: maintaining the level of 1.08. Possible increase in spending in the future (Armed Forces modernization plans will force higher expenditures).Slovakia1.03There are no plans to increase the budget.Belgium1.0There are no plans to increase the budget.Latvia0.92014: Ministry of Defence wants to ensure public budget increase to 2.0 percent by 2020. Parliament endorsed this approach in July 2014Spain0.9No plans to raise spending due to the crisis of public finances.Hungary0.8Plans of an annual increase in defence spending by 0.1 percent after 2015.Lithuania0.82014: Minister of Defence: the planned annual increase by 0.1 percent (achieving the level of 2.0 percent in 2025). President D. Grybauskaite believes that Lithuania should reach 2.0 percent over 5 years.Iceland0.5There are no plans to increase the budget.Luxemburg0.4There are no plans to increase the budget. In the next few years the imbalance in military policies between Europe and Asia will be exacerbated. While the spending on defence in the Old Continent has been falling, Russia, China and the Middle East countries have all been increasing their expenditures on modernizing their armed forces. Although it is difficult to verify the actual size of the defence budgets of Russia, and especially China (they are not transparent), it can be assumed that for a long time, they have grown at a rate of approximately 10 percent annually. For Poland it is worrying that this military stagnation is occurring primarily in Central Europe. Weak points on the military map are particularly some of the Baltic states (Latvia and Lithuania), the majority of the Visegrad Group countries (Slovakia, Czech Republic, Hungary), and Bulgaria, where spending on defence and the role of the armed forces has been steadily falling. This weakens the eastern border of NATO. The continuation of this trend threatens transatlantic cooperation. In the United States, there is a growing belief (expressed by successive Secretaries of Defence and by President Barack Obama at the Warsaw Castle Square on June 4, 2014) that Europe should take greater responsibility for its own safety. Following this, the presence of U.S. armed forces in the Old Continent has systematically been reduced. The decrease in defence expenditures in European countries in the long run will be even more discouraging for the U.S. to guarantee the financing of European security, and as a result, the transatlantic ties will continues to weaken. The decrease in the number of countries willing to spend the appropriate amount on defence, and willing to participate in operations and exercises of NATO and the EU, will lead to a weakening of the cooperation within these structures. Within the EU there has been an ongoing retreat from the Common Security and Defence Policy for regional and bilateral cooperation. Similar trends have been observed within NATO. Therefore, only the countries with a strong army, defence industry and incurring large expenditures on defence will become a desirable partner and will gain political importance. The decrease in defence spending is a result of (in addition to economic factors) a decreasing sense of traditional threats, i.e. the possible outbreak of war, which would take the form of a hostile aggression or an armed attack on the territory of a member state. In recent years, the role of the army as a deterrent has decreased in some European states, leading to the marginalization of the armed forces. This trend has not stopped, despite the experience of the Russian-Georgian war of 2008. The following question is still unanswered: will the current actions of Russia against Ukraine contribute to the reversal of this trend? It is also worth noting that the reconstruction of the strength and importance of the armed forces and of the so-called military tradition is a difficult and very costly process. Falling defence spending in European countries, and thus reducing the expenditure on modernization of the armed forces, also poses serious problems for defence companies. In search of markets they are ready to sell modern weapons to countries which in the future may pose a threat to NATO and the EU, or use it in ways that threaten the stability of the Old Continent. The selling of French Mistral-class amphibious assault ships to Russia is one example of this type of threat. In the context of the above, a stable and relatively high (compared to other European countries) defence budget gives Poland the opportunity to improve its position and importance in the field of European security policy. However, this is not a sufficient factor. Only thanks to a rise in the potential of the defence industry and a willingness to participate in joint ventures (projects on the basis of pooling and sharing / smart defence and military missions) will Poland gain the position of a desirable partner for the leading EU countries. Otherwise, the budget will reduce Poland’s role in reaching an attractive market for foreign defence companies. It is necessary to take into account the willingness of foreign partners, who will be selected in modernization bids for the Polish armed forces, to cooperate with Polish entities. It is also important to raise the ratio of research and development. The decision to increase defence spending to 2 per cent will place Poland in a small group of NATO countries that meet the guidelines in this regard. This will enhance the position of the Republic of Poland and its role in European security policy. This will also open up the possibility of cooperation with major partners in the field of defence. However, it is important that this contributes to the development of the Polish industrial base. The negative trend of reducing spending on armaments in NATO is becoming more and more pronounced. Over the next five years one may expect a further decline in defence expenditures among the largest countries of the Alliance. This is worrying, especially in view of the steady growth in this area in Russia and China. The question remains as to whether this trend will be stopped as a result of the Russian-Ukrainian conflict. 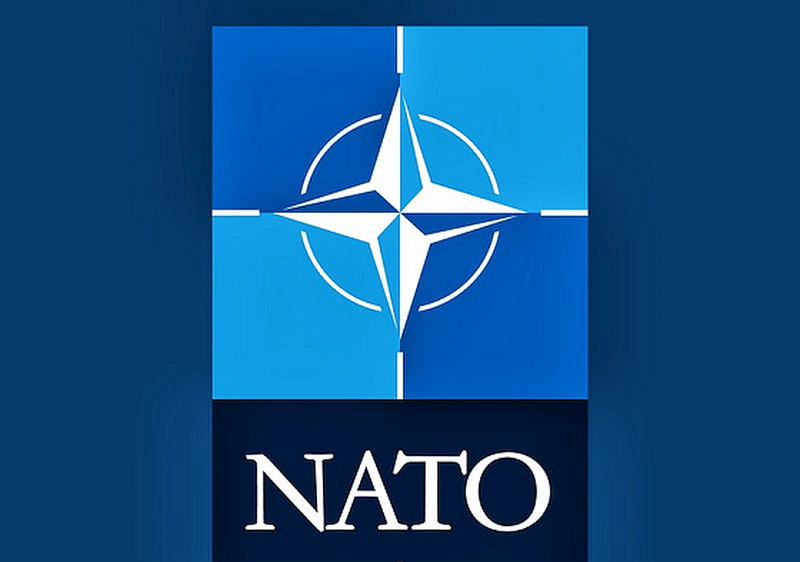 This phenomenon may in the future undermine NATO’s credibility and fulfilment of its main function, which is to defend member states, as well as the other tasks of the Alliance, such as crisis management and cooperative security. The decrease in defence spending in European countries negatively affects the state of transatlantic relations. Poland’s particular concern is the military stagnation in Central Europe. This weakens regional cooperation (e.g. of the Visegrad Group) and the position of the region in the EU and NATO. Author: Przemysław Pacuła – a graduate of international economic and political relations of the Warsaw School of Economics. Since 2007 he has been an analyst for the National Security Bureau. He work with issues related to NATO, foreign and security policy of the United States and the problems of Central and Eastern Europe. In 2008-2010 he was the head of the Euro-Atlantic Division of the Department of International Security of the National Security Bureau. Currently, he is an analyst at the Department of Strategic Analysis. It is worth noting that NATO has no formal requirement to earmark 2 percent GDP on defence.